, now on sale! Yours for $25, partial funds from sell go to a charity of your choice. Here are the current standings (based on votes only) for the DBH 10k contest that is ending soon (submissions taken until midnight on the 29th). 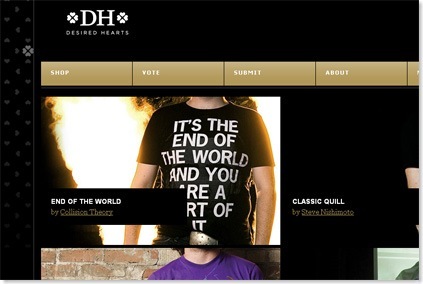 I have only shown the designs with over 100 votes (as of today 8/28). Alot can still change from now until they announced the top ten on September 8th so keep voting and checking on your favorites @ DBH! Also the 10 semifinalist are not chosen solely on vote count but it is a part of the selection process. and have your winner narrowed down, why not participate? This collection looks at the T-shirt and its many forms. 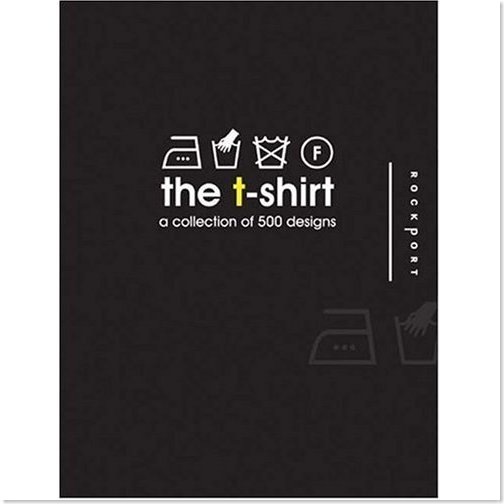 The chapters include The Legend of the T-shirt, Power of an Idol, Duplication of Art, Declaration, Mobile Posters, Simple and Fashionable, Design Element, and Technique. Altogether, this volume provides an immense catalog of 500 designs for inspiration and enjoyment for designers, crafters, and T-shirt enthusiasts. Make your prediction by following the submission link located in the footer section or your TAddict.com RSS feed. Only one prediction per user will be allowed, any duplicate users will be disqualified. Submissions taken until September 7th which is the day before DBH will announce the top 10 qualifiers. 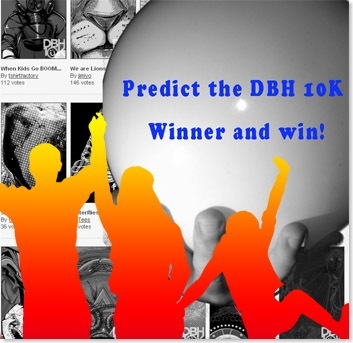 Users will be eligible to win only if your design is the winner of the 10k contest. If more than one user wins the Taddict.com competition – then one winner will be chosen at random from these users. Prize will be shipped via USPS postal service which makes international residents eligible for the contest. If no one makes a correct prediction then a winner will be chosen at random from all of the prediction submissions. with Star Wars apparel?! I have to admit some of the shirts are well done, but the prices are ridiculous. Oh and they have hoodies as well, but they are not my favorite and would only describe them as tasteless. because this store will not disappoint. Pretty much anything goes with us. Nothing offensive that is targeted at any group or any nonsense like that, but we have a very liberal stance on art. And we don’t feel that we should be censoring anyone’s art. every time we sell a shirt, we give $2.00 to a charity of the customer’s choice and up to $3.00 to the designer. We say “up to” because the designer can choose to give a portion or all of that $3.00 to the charity also. So from your purchase, you could be giving up to $5.00 to charity!! Today’s shirt of the day at DBH. This guy has come along way with his submissions and his most recent work only seems to be getting better and appeals more to the dbh style. I love this print along with some of his other works – including this one titled “I DON’T NEED YOUR SUSHI, JUST STAY CONNECTED TO ME”. 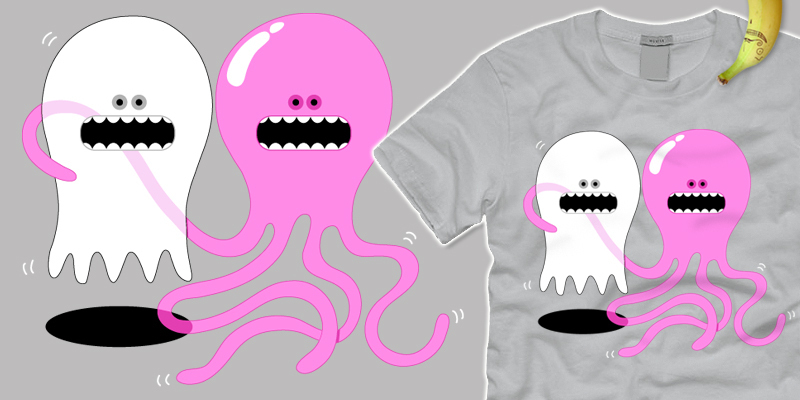 The Threadless 2 Cool 4 School sale is on NOW! All tees are only $12 and that includes Select and Kids tees as well! All Prints are only $25! All hoodies, zip-ups, and long sleeves are at special prices as well! And just for this grand occasion, 18 brand new designs and 18 classic Threadless reprints have been unveiled for your enjoyment with more to come!